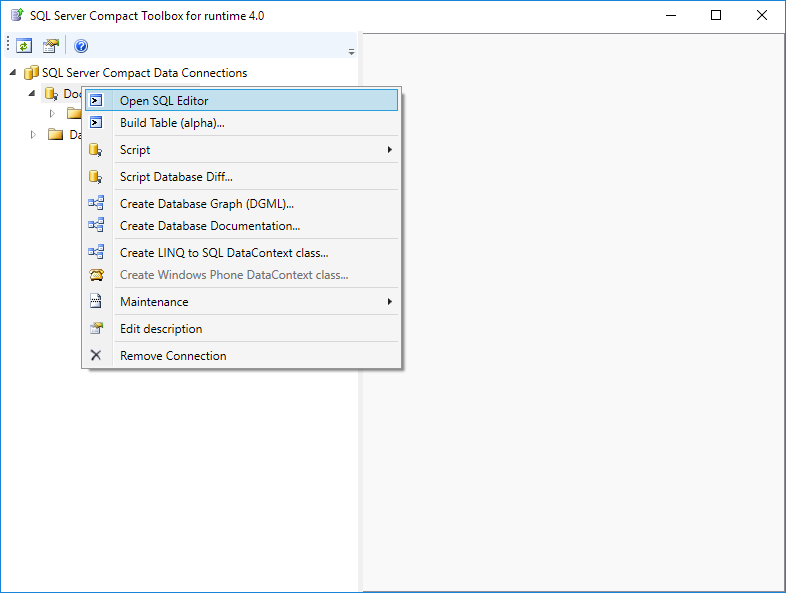 Dataedo file repository is just an SQL Server Compact database - a limited edition of SQL Server that store databases in files and does not require an active instance to operate. You can access tables in a file repository directly just as in a server repository. To connect to database in .dataedo file you will need a Microsoft package, and an additional 3rd party tool. 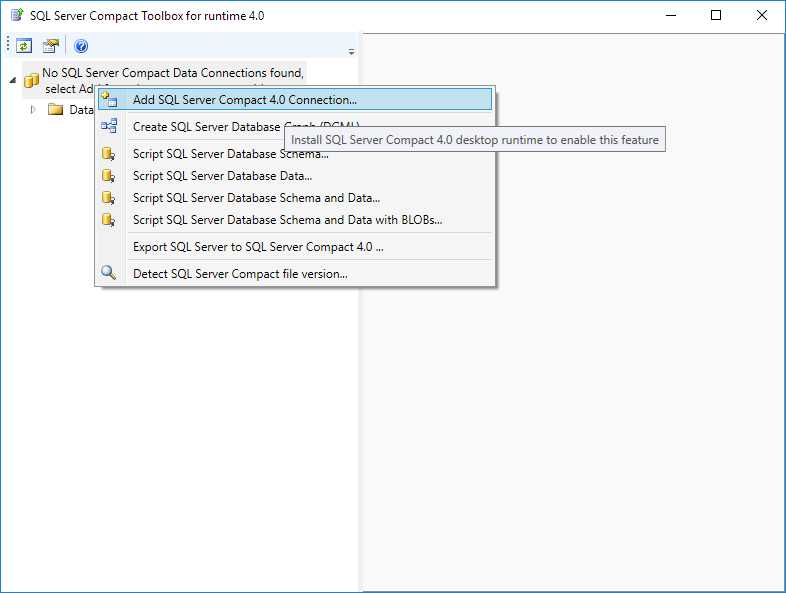 We highly recommend using ErikEJ's SQL CE Toolbox, as it works as a standalone application. 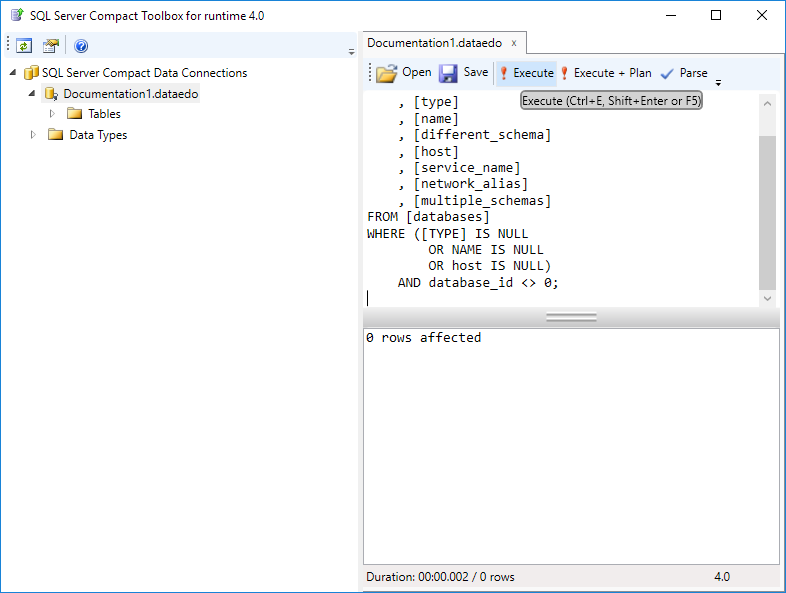 In the bottom right change SQL Server Compact database (.sdf) to All files (*. *) , then find your .dataedo file and double click it. The connection list should now contain your file. You can expand it to see an object list, or right click it and choose Open SQL Edtor to run queries. Do note that in most cases you can only run a single query at a time.